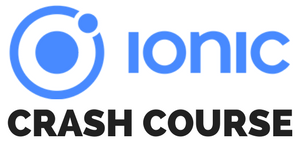 In this two-part series we will build an Ionic App (so if you came here without prior knowledge you can check out my Ionic Academy!) in which users can create a new account, log in and access protected data. We will achieve this by creating an API that we build in this first part using Node.js and MongoDB. We’ll not cover how to install MongoDB but I’m sure you’ll get it done in a minute on your own. This server will use JSON Web Tokens for authentication which is one of the most common forms these days, and it’s also super easy to implement in our Angular app later. At the end of this first part your server will be up and running with some nice API routes! I’ve only changed the main entry point and also added the start script which will call our initial server file. For testing I also highly recommend that you install nodemon which helps to get live reload for your server while developing it! Next we need a bunch of files so go ahead and create the folder structure and files like in the image below. The secret will be needed for signing the JWT later and the database URI will be used for making a connection. Make sure your MongoDB is running when you test the up, but you don’t need to create the database upfront (like here with the name “ionic-jwt”) because it will be created for you. You could also use a service like Heroku for hosting your server and having a MongoDB connected directly of course! To access documents of our database we will use an Object Database Modelling library called Mongoose. Therefore, we need to define our model upfront and later our app can easily store objects of that type to the database (or find, update…). In our case we need to create a model for a user which has an email and password. Also, we need to make sure that passwords are never stored in clear text so we add a function that will be called before save and simply transforms the plain password into a hash value. Now we could store users to the database, so let’s focus a bit on authentication. For our JWT authentication we will use an additional package called passport which works with so-called strategies. In our case we need a JWT strategy and there’s also an additional package we use. The idea is: If an endpoint is protected inside the server, we have to check for the Authorisation header field and see if it contains a valid JWT. And exactly this will be handled by our strategy. After grabbing the token by using the fromAuthHeaderAsBearerToken() function we will try to find the user inside our database by calling User.findById(..) because our JWT payload will always contain the ID of a user. All of this will be handled in the background as a middleware which is basically an additional handler of the incoming requests that can perform actions. You could have as many middleware functions as you want! We will later tell our app and especially passport to use this strategy, for now let’s work on the login part. As you might have noticed we are splitting up our code over multiple files to keep a nice structure in our project. A clean architecture is important to establish from the beginning! Therefore we will now build the register and login function, which we can then add to the actual routes. You’ll see how in a second. If a user wants to register we need to check if the request contains both email and password, and also if the email is not already in use. If all of that is fine we create a new user by simply passing the request body to the constructor of our user model. If we then call save() on the object it will be written to our database and a document is created like in the image below. To inspect your database you can use a great tool like Robo 3T! If a user want’s to login, we perform the same checks but now also compare the password he has sent with the stored one using the comparePassword function we have added to our model in the beginning. When the login is successful we will create a new JSON Web Token that we send back to the client. This token consists of the user id and email in our case but could contain more information. You can add an expiry time here so if you want to test things out either make it pretty long or short! Always keep in mind that you don’t add sensitive data to this token as others might intercept it. Below you can see what it looks like and how the payload is easily decoded without any additional knowledge, yet it’s invalid because attackers will (or should) never know about the secret used to sign it! For the first 2 routes we can use both of the functions of our previous controller. For the third one we don’t need a special function as we just return some plain data, but here we will use our Passport middleware as the second argument of the chain! All routes that we want to protect need this middleware so if you extend this tutorial simply add it to other routes as well or see how the basic / route behaves with and without the middleware. Alright, we got all the function, routing and JWT authentication in place now we just need to connect everything and start the server. To start our server we use Express and we have already used the router in the previous snippet from Express as well. What’s important before we start our server is to tell it to use() our Passport package and also the middleware that we have created. Also, the app will be available at http://localhost:5000 if you test it locally and all of our API routes that we added in the previous file will be available under http://localhost:5000/api because we tell our app to use the routes for /api. By doing this you can structure your domains inside the server pretty great and have the code separated across multiple routing files and additional controllers! Of course we finally need to create a connection to our MongoDB through mongoose and then we can finally tell our app to listen on the specified port and the magic begins. We have now built a simple server with the basic functionality for a user authentication system. In the second part we will start a new Ionic app and implement the JWT authentication on the frontend with Angular. All of the code in here was now magic and hopefully encourages you to play around a bit with Node.js as an alternative to something like Firebase. Both are great but sometimes your own server just rocks!